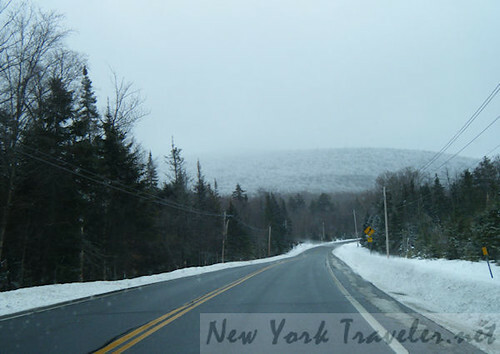 We took a day trip to the Adirondacks last week. What an adventure! The weather forecast called for “relatively” precipitation-free weather… but they were wrong. I’ve been on bad roads before (I used to live in Cherry Valley, Rt. 20 area), but this was awful. 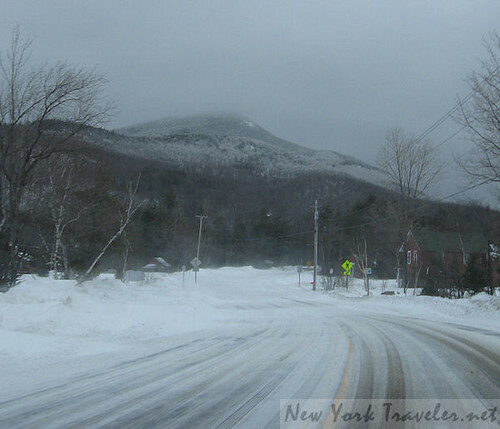 Just a small amount of wet flurries, and our car was all over the road at times. 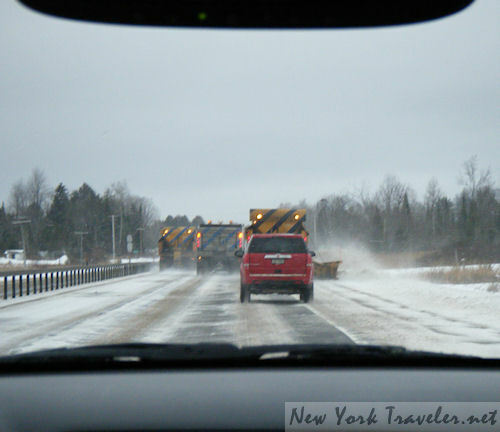 They had the plows out in full force, but from Remsen to Old Forge, it was pretty dicey. The scenery was absolutely beautiful. You couldn’t see the mountain tops very clearly, because of the snow and clouds, but they did show their faces every once in a while. 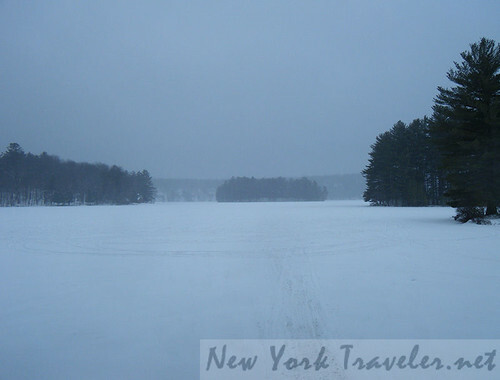 New York’s Adirondack Park is the largest natural park in the continental United States, did you know that? The New York State Constitution guarantees that it will be “forever wild,” and New Yorkers vehemently protect the Adirondacks from over-development and pollution. I am appreciative of all the nice, smooth highways in the park; but a turn off the highway onto a small road is like stepping back 5,000 years in time. The park is huge, it’s wild, and it’s rugged. And it’s beautiful! 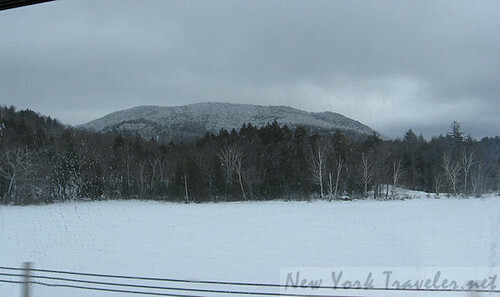 We drove up to Tupper Lake, NY, to the Natural History Museum of the Adirondacks (known as the Wild Center), and made a pit stop in Raquette Lake to visit the Raquette Lake Navigation Company- the WW Durant is sitting on the frozen lake there, and we visited when the lake was being prepared for a big ice-cutting day. I took hundreds of photos and have been sifting through them all! Stay tuned. Looking forward to hearing about the Wild Center (I’d love to go there sometime) and seeing more pictures! You are brave for driving there through the snow! I’ve wanted to get to the Wild Center ever since it opened. Unfortunately, we always have the dog with us camping, and they don’t allow dogs. Looking forward to your report!